During discussions about updating or upgrading industrial heating equipment, retrofitting is a topic that often comes up. From repairing existing systems to repurposing old equipment for another purpose, retrofitting is an option that many plants and facilities are interested in exploring. 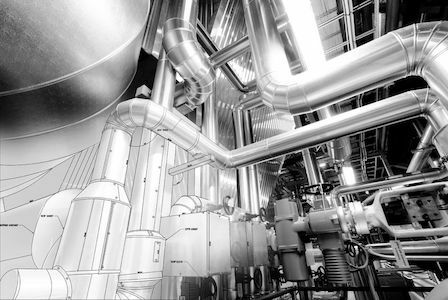 If you’re looking to extend the life of an existing piece of equipment, retrofitting can be a good option – but there are some limitations and risks that it’s important to be aware of as you’re considering your next steps when it comes to updating your facility’s industrial heating system. Here, we’ll review some of the most important things to keep in mind if you’re thinking about retrofitting an existing piece of equipment in your facility. Retrofitting a piece of equipment or an existing industrial heating system can be very challenging, but it can be especially frustrating if you haven’t planned well ahead of time. You’ll want to be sure that you’ve done your homework to ensure that retrofitting the piece of equipment you have in the way you have in mind is actually possible. If it is possible, you’ll want to work with the appropriate engineers to figure out exactly what it will entail, how much it will cost, what impact it will have on operations, etc. Depending on your industry, there may be code requirements that you must comply with when installing new equipment or changing your equipment configuration. Before moving forward with a retrofitting project, you’ll want to make sure that the final product will adhere to the code requirements, safety requirements, emissions and efficiency requirements, etc. that are standard in your field. It’s especially important to thoroughly investigate this if the retrofitting solution you’ve developed is somewhat unconventional, as you’ll want to be confident the final product will meet all necessary requirements before the project gets underway. If you find yourself in a situation where one company is retrofitting another company’s equipment, you may want to pause to think about equipment warranties and follow-up service needs. While they may not seem like immediate concerns, they will be important to have sorted out and in order as you move forward with your updated piece of equipment. Will the work you’re having done void any existing warranties? Who will be providing a warranty on the final product? Will there be a warranty on the final retrofitted system? Who, if anyone, will provide service on the retrofitted system? If you think the answer to any of these questions may change your mind on how you’d like to handle your equipment update, be sure to get the answers ahead of time, before work gets started on the upgrade. Retrofitting a piece of equipment or changing its function can impact the efficiency with which it operates. While some retrofit adjustments are intended to make systems more efficient, others that change the function of a piece of equipment may not have the same effect. Ideally, efficiency will improve, but in some instances that’s not the case. Whether your goal is increased efficiency or not, you’ll want to be well aware of how efficiently your system was working, and have a good sense of what its efficiency will be after the adjustments are made. While retrofitting can be an appealing option when it comes to your goals and your budget, there are times when retrofitting a system just is not feasible. Whether it’s from a facility layout perspective or an operational standpoint, retrofitting is not necessarily an option in every scenario. As you’re approaching a solution to the problem you hope to solve by retrofitting, try to keep an open mind and understand that there may be a better alternative out there. Even if retrofitting your existing industrial heating system or one of its components is possible, it still may not be the best option for your specific scenario. There are many ways why a new industrial heating system will benefit your facility, and those factors are important to consider when you’re looking at your options. While new systems can be more expensive up front, in the long run they may end up saving your facility money. And if you’re looking to retrofit a piece of equipment to perform a specialized function or process, a new customized system could be a better bet long term. Thinking About Retrofitting Industrial Heating Equipment at Your Facility? If it’s time to upgrade or repurpose a piece of heating equipment or an entire heating system at your plant, you’ll want to carefully consider all of your options – and all of the factors noted above – before making a plan to move forward with a retrofitting. At American Heating Company, we take pride in helping our clients and customers find the industrial heating solution that works best for their budget and their facility. We know efficient thermal fluid heating inside and out, and we’d be happy to take a look at your unique scenario to help you determine your best course of action moving forward. With more than 30 years of experience in the industry, we have the knowledge to point you in the right direction. We offer a wide variety of customized industrial heating equipment options and can help you design a custom system or system component that meets all of your needs. Interested in learning more about how we can help you as you approach a possible equipment retrofitting? Give us a call today at (973) 777-0100 or contact us online to get the conversation started. We’d be happy to offer you our expert opinion so you can make a well informed decision as you decide whether or not retrofitting is ideal for your plant. Wondering what to expect when it comes to preparing for a retrofit or new equipment installation? Learn about how to prepare your facility for a major upgrade or installation here. Feeling unsure about choosing the right industrial heating solution for your facility? Check out our comprehensive guide to selecting thermal fluid heating equipment.